This information is for our course starting in September 2020. If you have applied to study with us for 2019 entry, you can see full details here. This interdisciplinary course allows you to explore cultural and media practices, institutions and histories across multiple subject areas, including literature, sociology, philosophy, film and media. You'll learn to analyse images, texts, technologies and cultural practices in order to develop your understanding of a range of complex issues. You will be encouraged to develop a critical perspective on major challenges facing us in the globalising world today. Through compulsory modules you'll be introduced to ways of analysing a range of different texts, including photographs, paintings, buildings, poems and advertisements. You will also choose from a wide range of optional modules which will give you the chance to examine issues such as: conflict and its cultural mediation, migration and multiculturalism; social activism and the possibility of utopian change; past and future technologies and their impact on our bodies and minds; ecology and our relation to other life forms; global communication networks and their impact on social relations. Using the skills and methods developed through the course, you will become a flexible and engaged reader of a wide range of cultural materials and practices. You'll develop your cultural understanding of gender, race, class, sexuality and the postcolonial world. You will work alongside staff and students who not only theorise about cultural artefacts but also make them. The University has a variety of resources to support your learning and research. The University Library offers online books, journals and databases, and has a wealth of manuscript, archive and early printed material in its Special Collections. A range of different spaces for working either alone or in a group allow you to study in the way that best suits you. Project Space, a multi-purpose space in the School designed for the development of curatorial practice and visiting exhibitions, sits at the core of the School’s building. We work closely with many different museums, archives, and cultural organisations in the city and region. You'll gain the fundamental skills and knowledge for analysing and interpreting cultural and media practices. Compulsory modules will introduce key theories and critical approaches, and examine some of the major factors that have shaped the contemporary world, such as technology, revolution, war, colonisation, and media. You'll also choose optional modules. A compulsory module deepens your understanding of key theoretical concepts in the study of culture, media and society. A range of optional modules will give you the chance to focus on topics that particularly interest you, including visual culture in Asia, cinema and culture, the politics of utopia, and issues of the body, power, race and gender, as well as the challenges of studying media and communication. You’ll apply your research and critical skills to an independently researched dissertation on a topic of your choice. You will complement and support this research with a compulsory module and optional modules. You can choose to extend your dissertation to go into even greater depth; if you do this, you’ll take fewer optional modules. We use a range of teaching and learning methods to help you benefit from the expertise of your tutors. These will include lectures, seminars, screenings, tutorials, workshops and field visits. You’ll also be able to attend talks by visiting artists and speakers, as well as workshops, conferences, exhibitions both on and off campus. Independent study is also crucial to the degree, allowing you to develop important critical and research skills and to form your own ideas. You’ll be assessed using a variety of methods, allowing you to build different skills. Usually these will include essays, exams and module presentations, as well as small-scale research projects and your dissertation. The University Library offers training sessions and resources on topics such as exam technique, public speaking, research and structuring essays throughout your degree. Pass with 60 credits overall including 45 credits at Level 3, of which 30 credits must be at Distinction and 15 must be at Merit level. D3, D3, M1 – D3, M1, M1 in three principle subjects. 34-35 overall (with at least 4 in English Language). AABBB (AB at advanced level) OR AAABB (A at advanced level). For applicants just undertaking the higher level, grades of AAAABB will be required. European Baccalaureate: 77-80% overall and at least 60% in English. We accept a range of international equivalent qualifications. For information contact the School of Fine Art, History of Art and Cultural Studies Undergraduate Admissions Team. IELTS 6.0 overall, with no less than 5.5 in any component. For other English qualifications, read English language equivalent qualifications. Qualified applicants are invited to an interview afternoon. You will have the opportunity to meet students, explore the School and attend a group ‘seminar style’ interview. This will give you the opportunity to find out more about the course and discuss with staff your interests in Cultural and Media Studies. This Cultural and Media Studies degree will equip you with important skills in communication, analysis, presentations and research as well as critical, visual and cultural awareness. All of these qualities are valuable in diverse careers across a wide range of industries and roles such as the media, journalism, cultural and creative industries, education, politics, NGOs and the public sector. You may also decide on postgraduate study at Leeds or another institution. The School is committed to helping you achieve your career ambitions - you'll be able to work closely with staff in the School to source opportunities throughout your degree to gain experience, develop your skills and build networks. The optional study abroad or work placement year offer opportunities to gain transferable skills, develop your experience and build your networks. The Faculty of Arts, Humanities and Cultures offers a number of paid internships every year too. Taking a work placement year will extend your degree to four years and is a great way to gain valuable experience before you graduate. 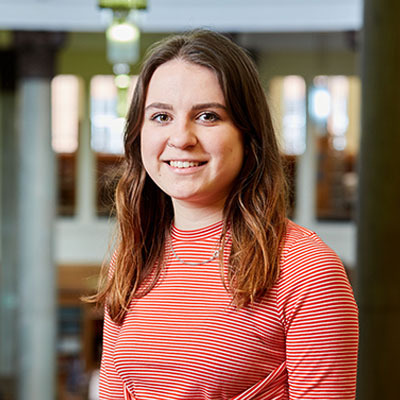 Some recent examples include placements at Harewood House, the Cultural Institute, Urban Outfitters, Tigerprint, Leeds Museums and Galleries, Pyramid of Arts and Hang-Up Gallery.